Our MemoMag disc has a diameter of 30mm and a thickness of 10mm. 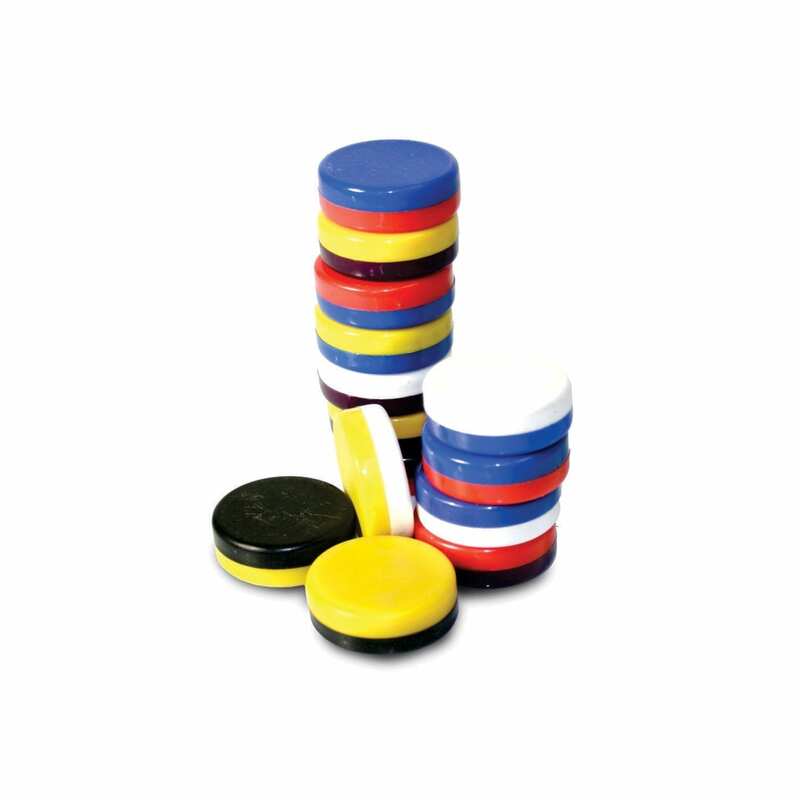 Embedded inside a disc-shaped PVC is a Ceramic magnet that is available in a wide range of colours! Note: Should you want a specific colour on either side send us an enquiry, if no colour is requested a random assortment will be sent with your order. A coloured PVC encases an axially magnetized (through thickness) Ceramic magnet. 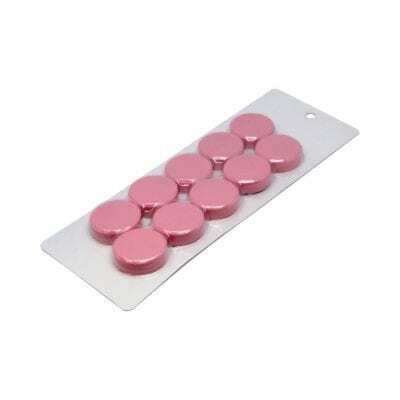 Each magnet has two different colours, one on each side and will attract to a ferrous object on either side. 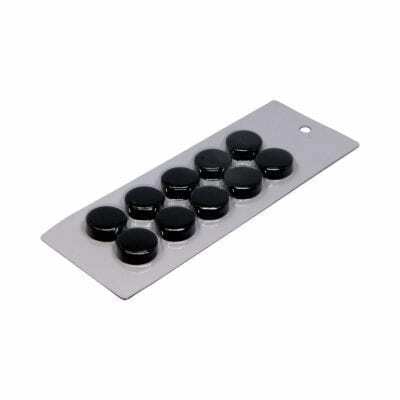 These MemoMag discs will make tracking tasks a breeze. By being easy to remove and being available in a variety of colours, tasks on a job board can be tracked at a glance! Our MemoMag disc are so versatile, use them around the home or in the office to organize your workspace, try them today!